These 4 Weird-Little Hacks that Nobody Knows, Will Save You 40 Hours in PowerPoint Today! FINALLY take advantage of the billion$ Microsoft spent on features that no one is telling you about… and stop banging your head against PowerPoint! In 4 quick how-to videos, discover how to save 40 hours of heartache and frustration, using 4 hidden PowerPoint features that no one is teaching. 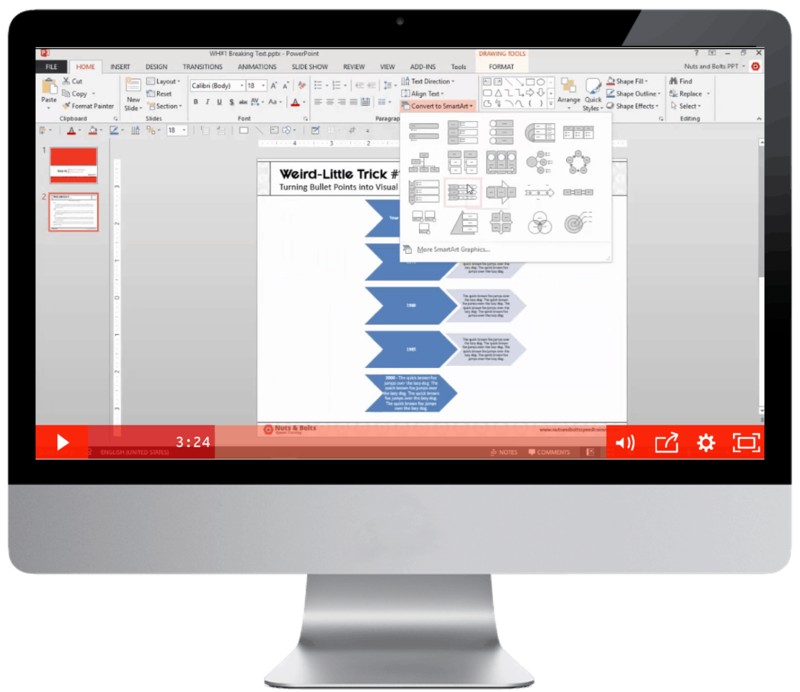 In these 3 lessons, you'll learn how to stop spinning your wheels in the software and let PowerPoint do what it was designed to do to do the heavy lifting for you! 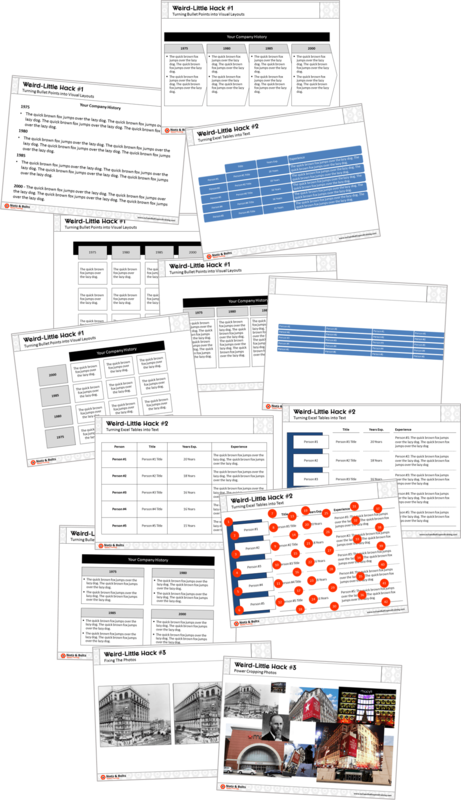 Boost My PPT Productivity Now! 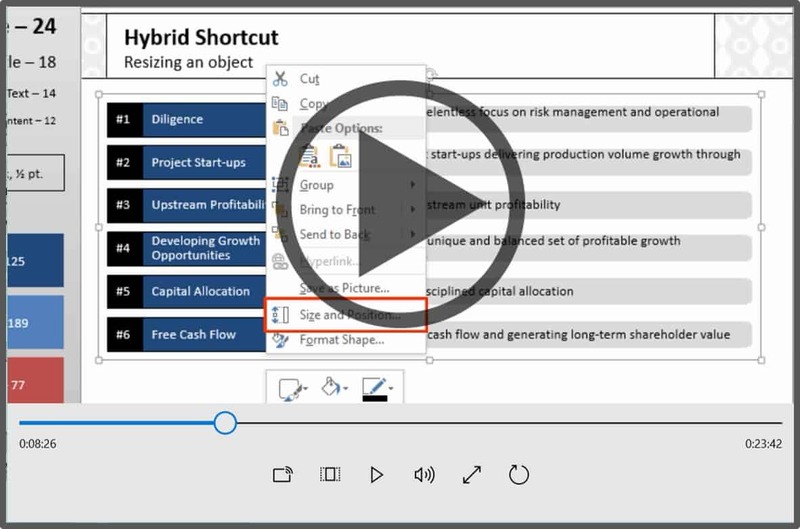 Set yourself up for life with the million-dollar shortcut (it takes about 30 seconds to set up) and with this PowerPoint trick, you'll never waste time aligning and distributing your objects again. Discover why manually cropping your photos is a waste of your time and how to get PowerPoint to do it almost-instantly for you (regardless of how many photos you are working with). 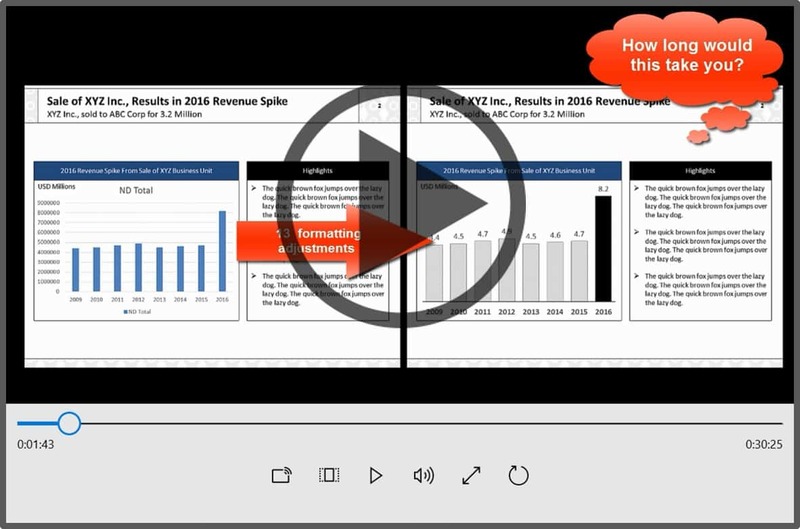 See the hidden benefit of copying and pasting you PowerPoint table back and forth form Excel (it has nothing to do with double-checking your numbers, and everything to do with some mind-blowing PowerPoint tips and tricks). Leverage a PowerPoint glitch to quickly double-check your numbers in Excel so that you're confident in what you present (even the Microsoft Programmers weren't aware of this hidden glitch....until we showed theme how to turn it into an awesome PowerPoint trick). See how to strategically use and create shortcuts to anything in PowerPoint so you’re never playing hide-and-seek in the file menus again (Microsoft spent billions of dollars adding this feature and sadly no one is using it). Learn how to use the 4 different types of PowerPoint shortcuts for a variety of tasks (certain shortcuts go hand-in-hand with certain tasks). Learn 6 different ways to cut out 40% or more of your PowerPoint build time (Microsoft knew it was time-intensive and frustrating to do it manually, so they added these handy shortcuts). 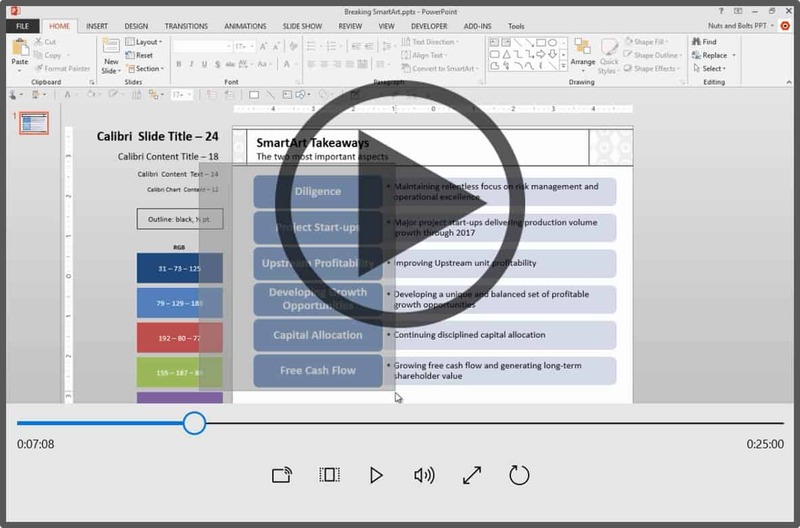 Learn how to quickly create visual layouts from your existing text without re-typing any of it (this PowerPoint tip can make the program push and pull your text into almost any format - if you just tell it to). See how a slight change in your mindset can double, triple and even QUADRUPLE your productivity for a variety of tasks (it’s not rocket science but it’s not super-intuitive either). Yes! Save Me 40 Hours. a few of the best PowerPoint hacks ever! Enter your best email address to continue to the training videos.